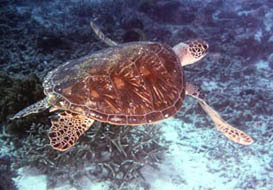 Marine Biology deals with the biology of marine environments. Special emphasis is placed on the diversity, ecology and ecophysiology of marine organisms and the environments in which they live. Students will also be introduced to the physical and chemical characteristics of the marine environment and the diversity of the marine biota. Topics of study will include the trophic structure of marine ecosystems, including primary and secondary production, microbial loops, foodwebs and their importance for marine fisheries. The implications of the characteristic life cycles of marine organisms to their ecology and geographical distribution will also be considered. These topics are placed in the context of specific marine ecosystems including coastal habitats (rocky intertidal zones, seagrass and mangrove systems, estuaries and kelp forests), coral reefs, open oceans and the deep sea. The lectures will conclude with a consideration of marine conservation and policy. 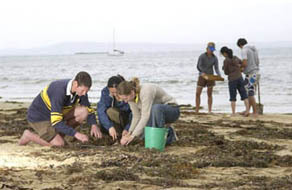 The practical component will be taught as field courses at either the University of Queensland's Heron Island Research Station in December or at the Victorian Marine Science Consortium laboratories in Queenscliff during February. These will teach problem solving skills for field and laboratory based research projects in marine habitats. Students who enrol in BIO3021 must attend one of the field trips on offer to fulfill the practical component of the course. The Heron Island field trip will run from: 3 - 11 December, 2019. The Queenscliff field trip will run from: February, 2020. NOTE: The above dates are for 2020 enrolments. Prescribed Marine Biology: Function, Biodiversity, Ecology 4th Edition by Levinton, Jeffrey S. published by Oxford University Press, USA, 2013.